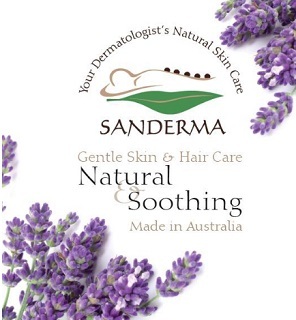 Australian made, natural and soothing this range of gentle skin and hair care is introduced by Dr Christina Sander. This beautiful range of natural skin and hair care products is the ideal choice for people with sensitive skin and will suit all ages. 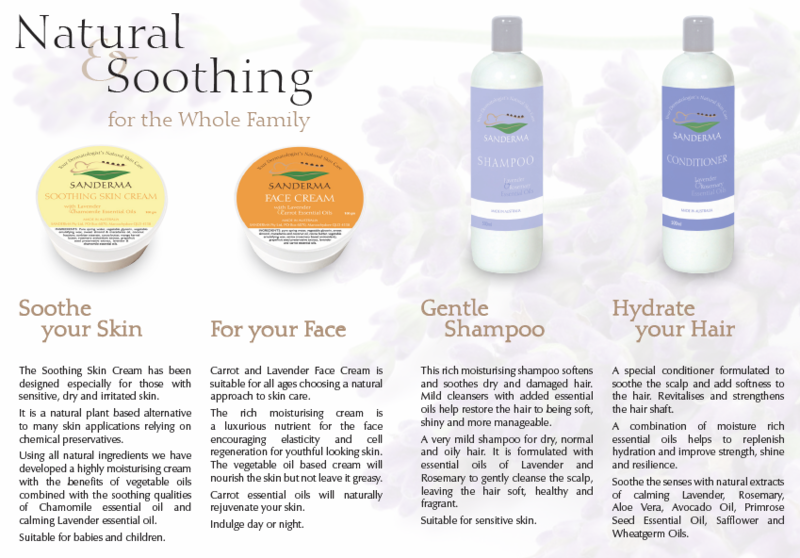 You will enjoy the soothing, rejuvenating and moisturising qualities of these premium natural products. We are using ingredients that are chosen for their abilites to benefit dry and sensitive skin and are offering superior natural combinations to address common skin and hair problems. 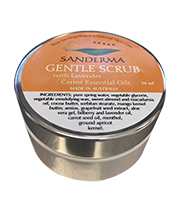 This gentle exfoliating scrub is suitable for sensitive and delicate skin and refines the skin with the soothing and healing benefits of lavender and carrot oils, aloe vera and refreshing menthol. This pure natural product helps to ease away impurities, excess surface oils and dulling surface flakes to improve skin texture and appearance. 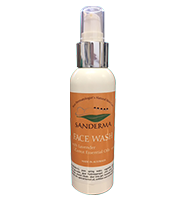 Our natural mild cream cleanser removes impurities and excess oil, while soothing and calming dry or sensitive skin. Use morning and night for a healthy glow and soft, supple skin. 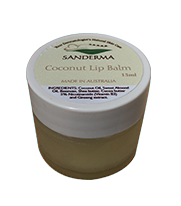 Protecting, soothing, repairing, this coconut lip balm refreshes your lips with the goodness of pure coconut oil, almond oil and shea butter. It has added benefits of healing ginseng and contains vitamin B3, nicotinamide, which repairs sun damage. Use liberally throughout the day. 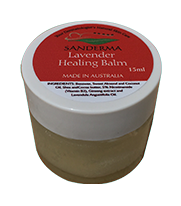 Lavender healing balm with ginseng rich in amino acids, vitamins and minerals, essential for healthy cell renewal. 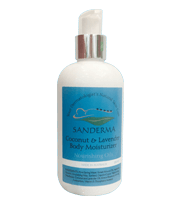 Includes pure lavender essential oil, helps calm redness and sooth irritation of the skin. Use for any skin irritation, scars and sores. This easily absorbed body moisturizer will leave your skin soft, hydrated and refreshed. The superior natural ingredients blend with organic coconut oil and soothing lavender essential oil is suitable for sensitive and dry skin. A rich and creamy body wash with pure organic coconut oil and soothing lavender. Use daily in the shower or bath to leave your skin feeling clean, hydrated and deliciously fragranced with the natural scent of coconut and lavender.